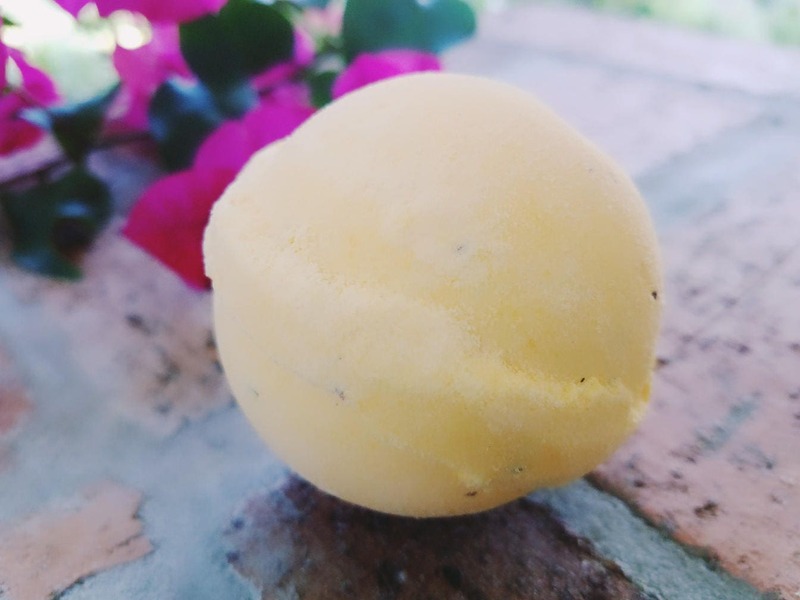 This Honeysuckle, handmade bath bomb weighs approximately 4.5 oz and is roughly the size of a tennis ball. 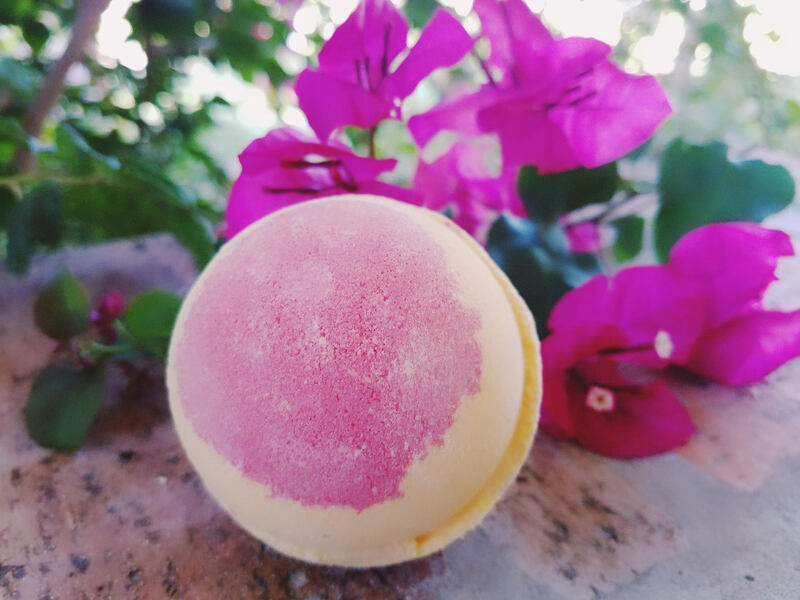 Enjoy a delightful bath soak with our amazing "Honeysuckle" bath fizzy. 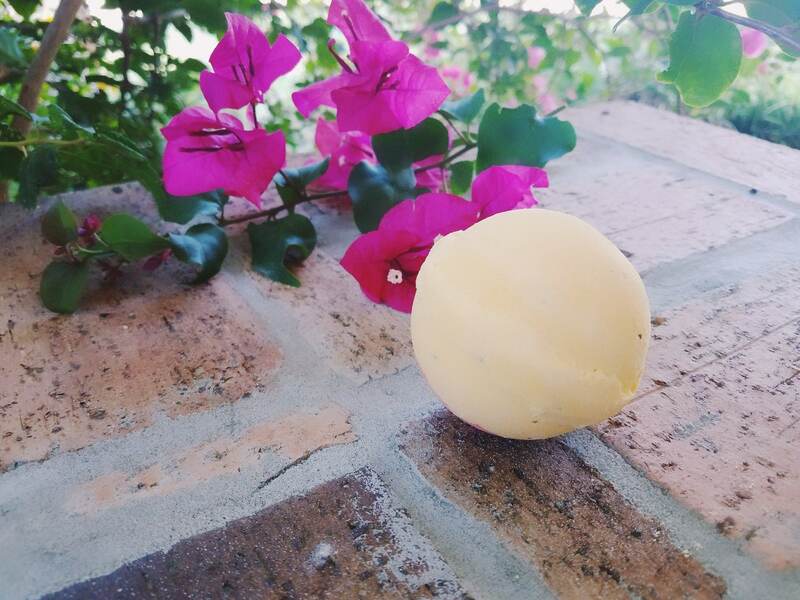 Rejuvenate your senses with the aromatherapy of top notes of orange, cherry, grape, and jasmine. 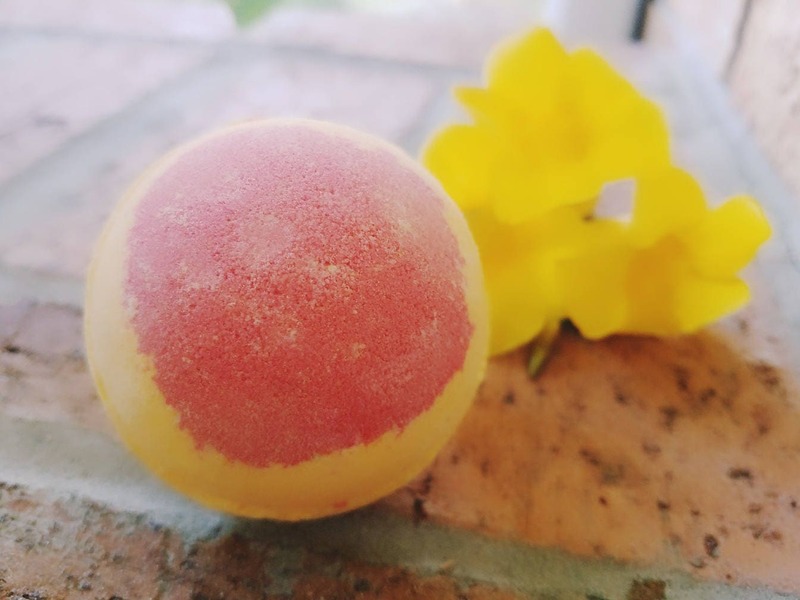 Mid notes include lilac, rose, honeysuckle, orange flower and cinnamon. 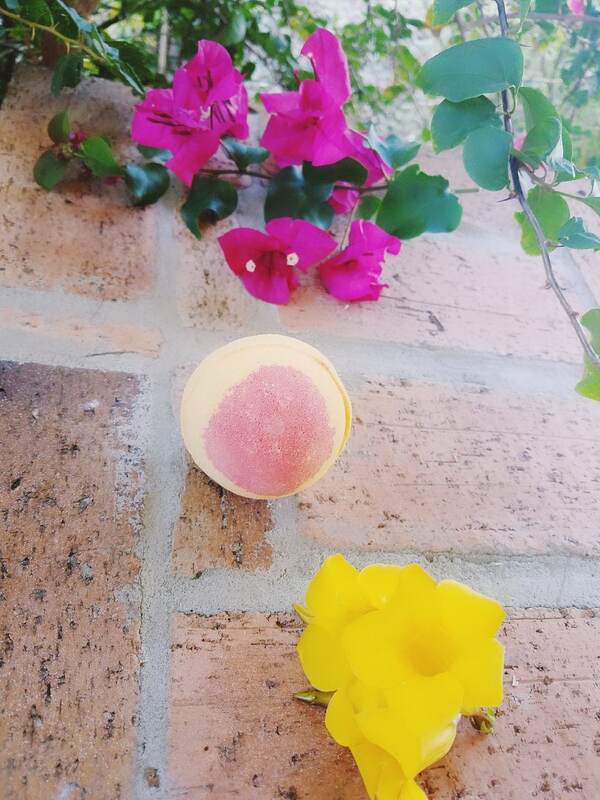 This bath bomb is yellow in color with a pink center and honeysuckle flower buds.